When it comes to a collar, sometimes we can end up looking like we’re heading into the office or even back to school.. So let’s all take note from Caro Daur and her very chic collared get-up. 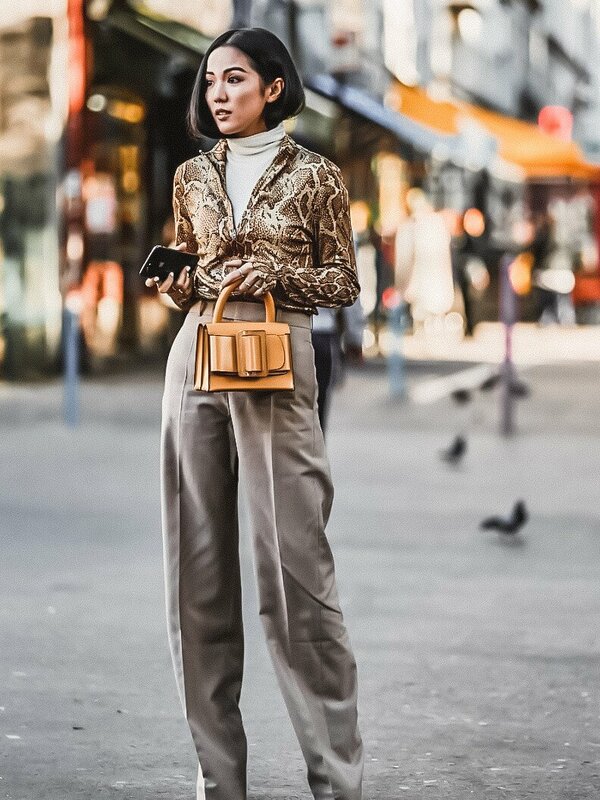 Styling her collared look with a pair of very fresh, white sneakers and a pair of black trousers with a jacket to match, this is one very simple, yet very cool look. The best part.. That extremely cool and very oversized collar! And a touch of animal print..
How to pull off the killer green on green look.